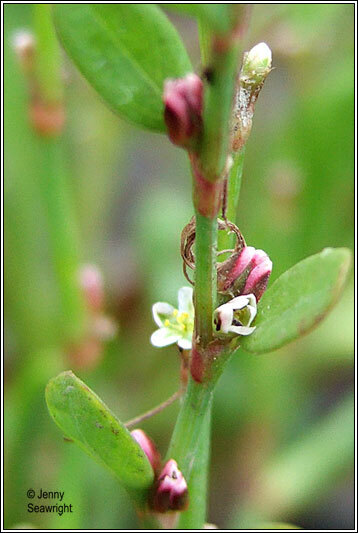 Irish Wildflowers - Knotgrass ssp. 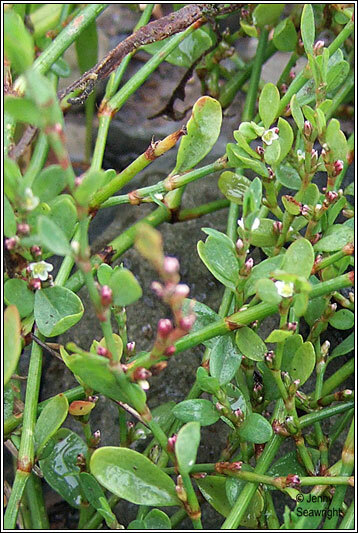 Native coastal sub-species of Knotgrass, P. aviculare. 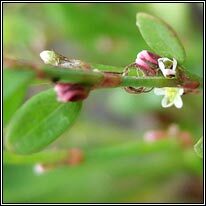 Sometimes confused with Ray's Knotgrass, P. oxyspermum. Identification by Alan Silverside. 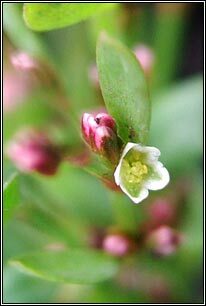 the old flowers but are shorter than those of P. oxyspermum. 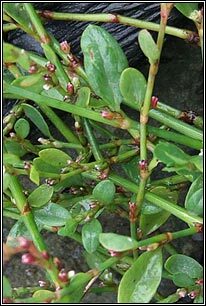 Prostrate growth. Coastal sand and shingle. Native. 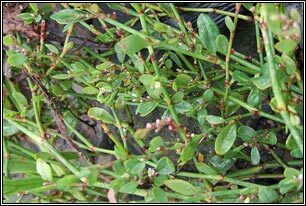 "Previously recognised as a 'split' of P. aviculare but demoted in the 1960's. and Ireland (published by Sell and Murrell)." Alan Silverside.